I hate pictures of myself, so scroll down to the bundle of delicious goodness I'm holding. These are the best things since sliced bread... candy cane kisses! I don't rave about food very often- I don't have many favs, but this would be in my top 5 favorite foods! I was so stoked last night when I saw them sitting on the shelf. And although I could probably eat them all my very own self, I've decided in the spirit of Christmas to share them with all my neighbors. That, and I didn't feel like baking all day. I'm at least 4 days behind now and rather than slave over baked goods that people may or may not eat, I opted for something I knew would be a winner. 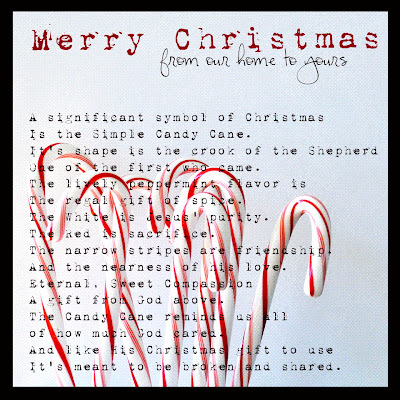 I found a cute little poem about the candy cane and I'm going to attach it and call it good. I also have great Christmas movies to throw in. 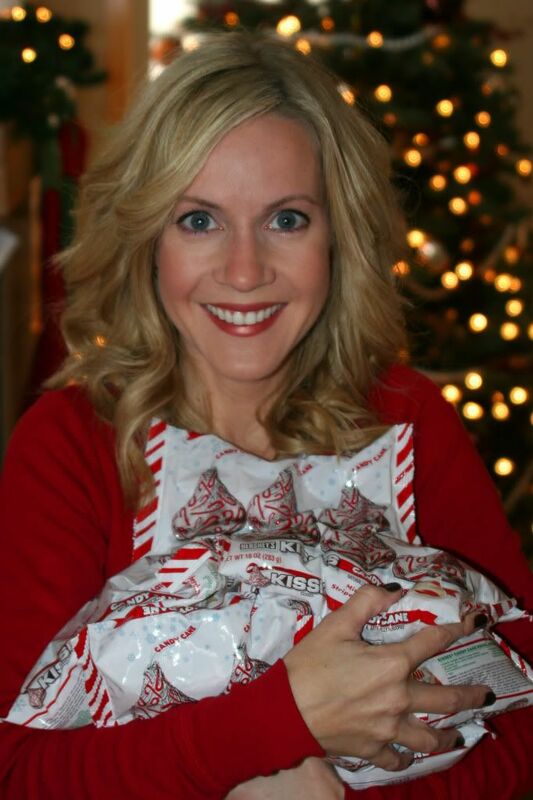 Last year I wrapped king sized hershey bars with sleeves and added the Christmas fudge poem. You can find it here. There are so many wonderful ideas out there. Isn't it great to have so much information available to us at our fingertips? soo adorable!!! I've never had them.... I better go get some..
Great picture, you are so photogenic. I love those kisses too, very addicting. love the poem....and the pic of you is great! !